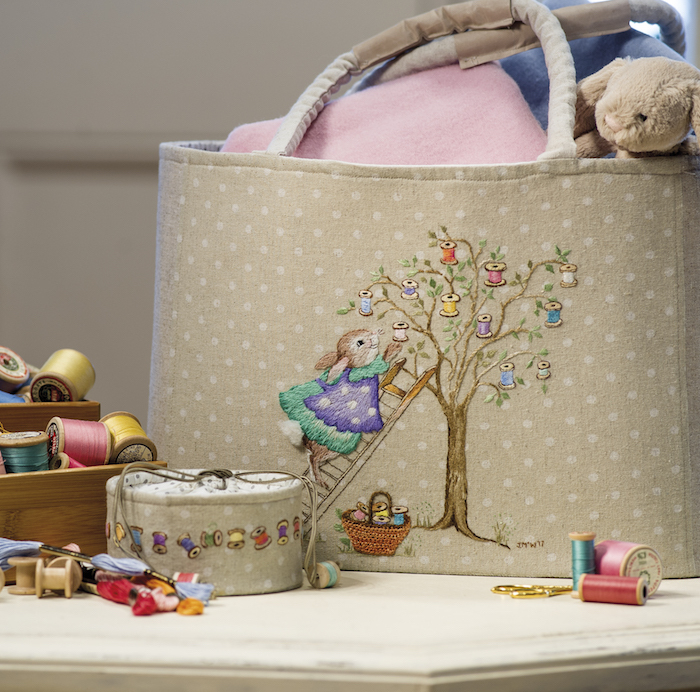 As featured in Inspirations issue 96 – The Bobbin Tree tote bag & bobbin holder. 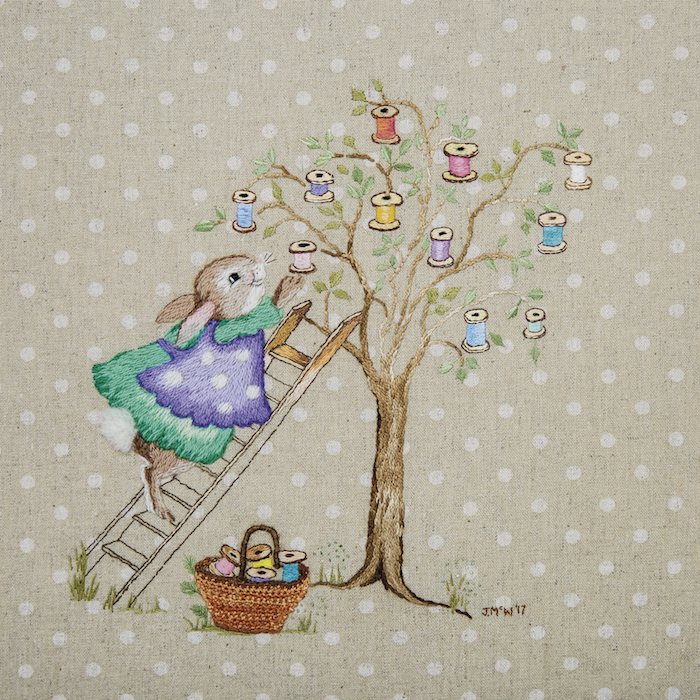 Since opening my new shop, The Bobbin Tree, I have had many requests to design the sweet bunny on a ladder harvesting the magical Bobbin Tree. 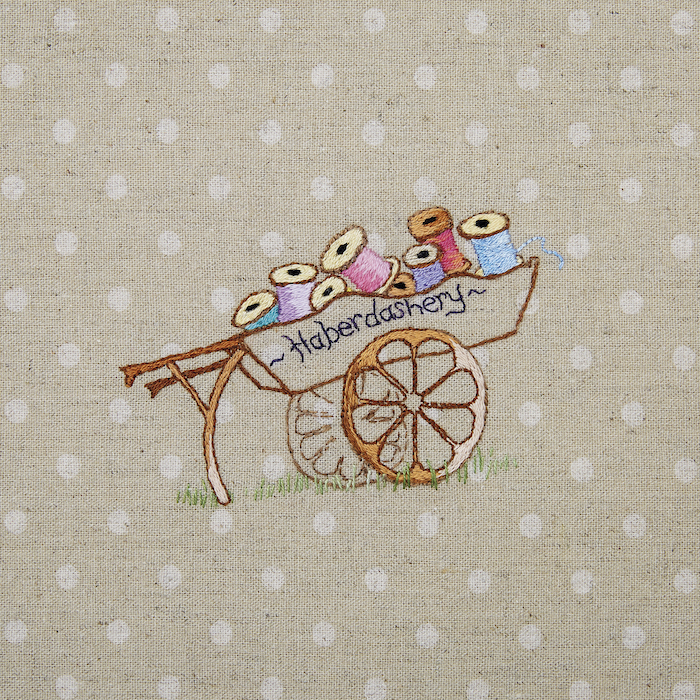 As a result, I have created a tote bag featuring the Bobbin Tree design on the front and a haberdashery cart on the back. 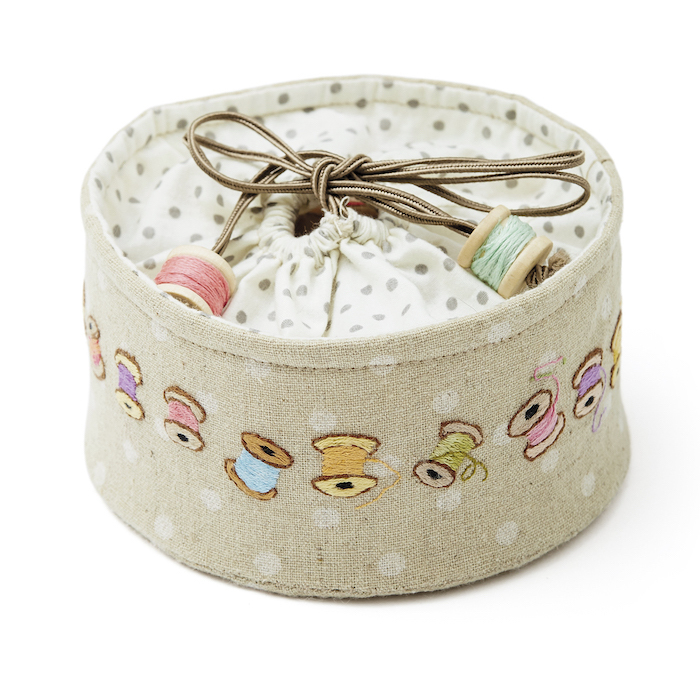 To compliment this bag I have also created a bobbin holder accessory bag featuring coloured cotton reels. Both projects are pre-printed on quality beige spotty linen. 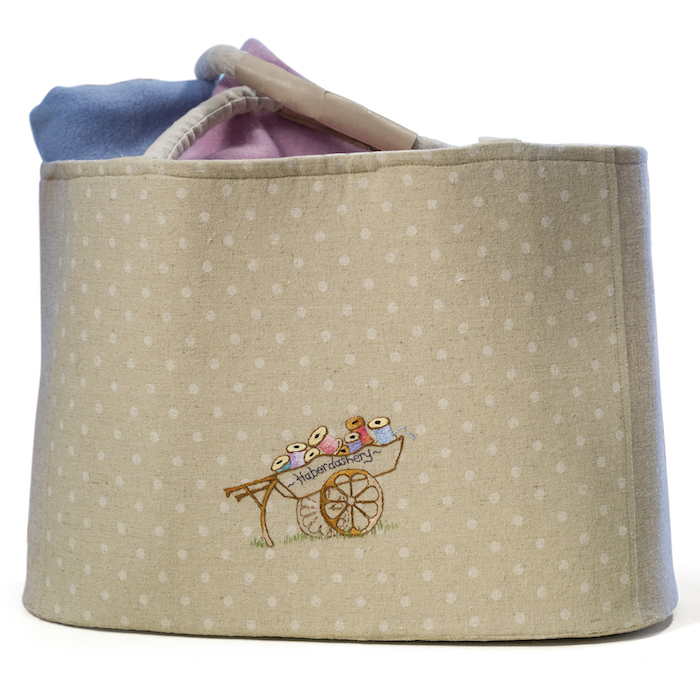 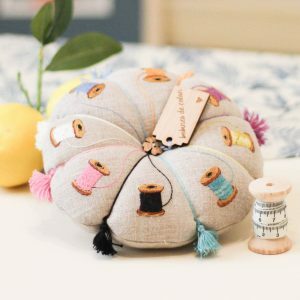 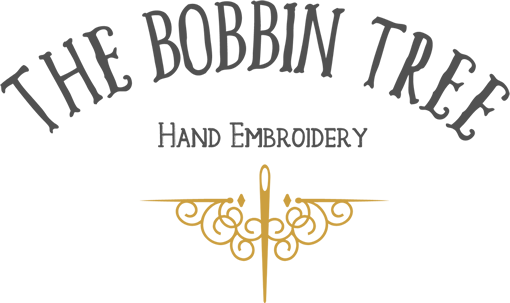 Two kits are available being the Bobbin Tree tote bag and the bobbin holder accessory bag. 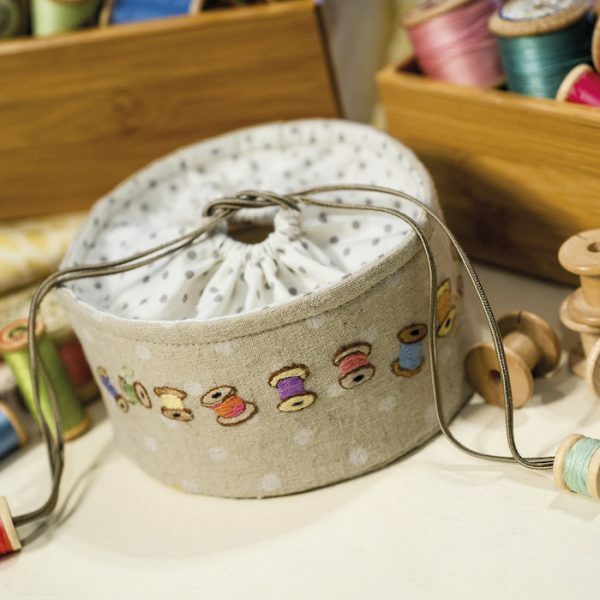 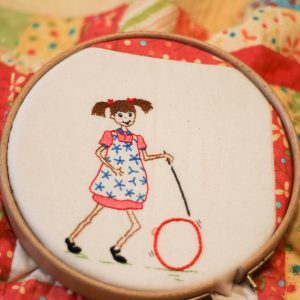 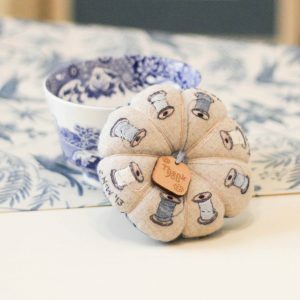 Each kit contains the requirements to stitch the design and complete the project including all fabrics, threads, needles, hat pellon (stiffener for the base and sides) and instructions. 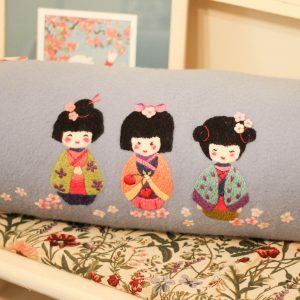 The designs are stitched with wool, silk and cotton threads including the Au ver a’ Soie d’Aubusson wool thread. These threads are very fine in texture and create a soft and elegant finish.